Both the officer and the driver of an SUV that hit the patrol vehicle are hospitalized with serious injuries. 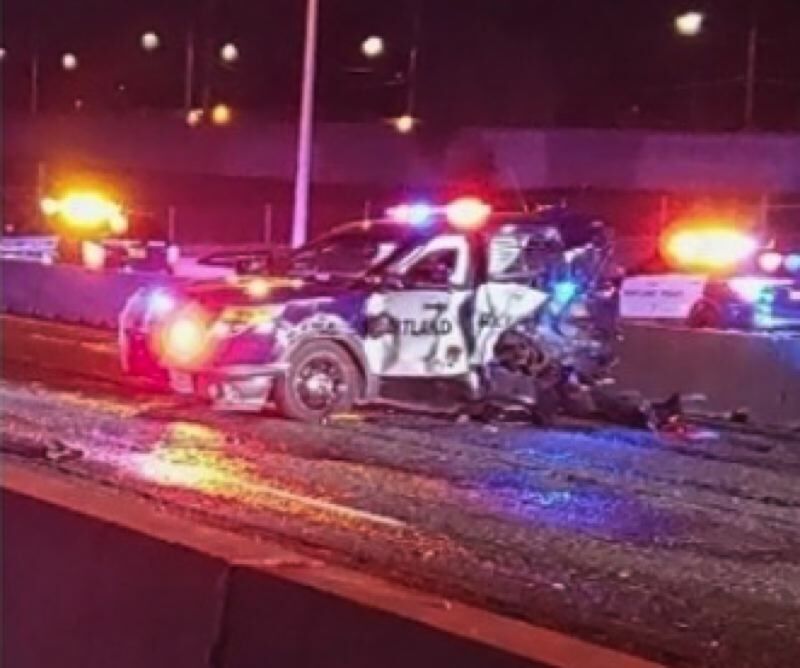 Two people, including a police officer, were sent to the hospital early Tuesday morning after a crash at a construction site on northbound I-205. Portland police said the collision happened around 12:20 a.m., south of Division Street. According to preliminary information, the officer was in a patrol vehicle working a static detail at a construction site when a dark-colored SUV hit the vehicle from behind — pinning the officer inside their car. The officer was extracted and taken to the hospital where they're in serious, but not life-threatening condition. Officials said the woman driving the SUV was also transported with serious injuries. Northbound I-205 at Powell Boulevard was closed as authorities investigated, however, traffic was slowly starting to get through around 5 a.m. Anyone with information about this crash is encouraged to call the non-emergency dispatch at 503-823-3333.